‘Swingtime’ fuchsia (Fuchsia x hybrid ‘Swingtime’) has large, double white flowers that contrast with the striking red sepals. The genus Fuchsia includes about 100 species. The most commonly grown, Fuchsia x hybrida, or ladies’ eardrops, is a hybrid derived from Fuchsia fulgens and F. magellanica, natives of Mexico and southern Chile and Argentina, respectively. While fuchsias are grown as perennial garden shrubs in mild climates worldwide, in South Carolina they are grown primarily as potted flowering plants. Fuchsias are ideally suited for hanging baskets because of their drooping stems and colorful, bell-shaped flowers. Select sturdy, shapely plants with healthy leaves and brightly colored flowers. Check the leaf axils (the axil is the joint between the base of the leaf petiole and its point of attachment on the stem) for insects. 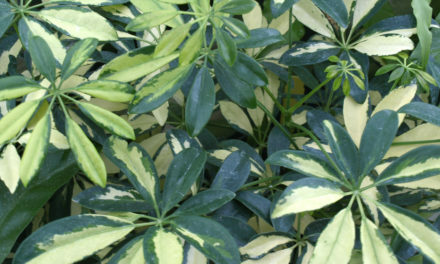 Avoid plants showing signs of insect or disease damage. Although fuchsias may flower almost continuously from spring to fall outdoors in the Mountain areas of South Carolina, they are unlikely to bloom indoors for more than three or four months at a time. 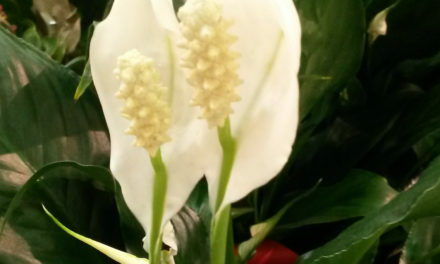 The flowers appear in pairs from each leaf axil on thin, usually drooping 1- to 2-inch long stalks. Each bloom is comprised of four (sometimes more) arching sepals (outermost portion of the bloom), one or more bell-shaped or skirted corollas (petals), long stamens (pollen-bearing structures), and an extremely long style (stalk that the pollen travels through for fertilization to occur). Oftentimes, fuchsia blooms are bicolor with the sepals one color and the corolla a different color. Flower color can be almost any combination of white, pink, red, magenta and purple. Generally, the orange- or red-flowered fuchsias are more heat-tolerant than the white or blue ones. The following are some of the most popular heat-tolerant fuchsias: ‘Constance,’ ‘Autumnale,’ ‘Daisy Bell,’ ‘Orange Drops,’ ‘Cardinal,’ ‘Gartenmeister Bonstedt,’ ‘Checkerboard,’ ‘Machu Picchu,’ ‘Billy Green,’ ‘First Love,’ ‘Santa Cruz,’ ‘Chang,’ ‘Countess of Aberdeen,’ ‘Swingtime,’ ‘Eternal Flame,’ ‘Sacramento Bells,’ ‘Winston Churchill,’ ‘Buttercup,’ ‘California,’ ‘Southgate,’ ‘Golden Gate’ and F. magellanica ‘Aurea’. For heat tolerance, consider cultivars of F. magellanica. Hybrids of F. triphylla (make up the Triphylla Group of fuchsias and include ‘Gartenmeister Bonstedt’) are another important group of heat-tolerant fuchsias. Indoors, locate the fuchsia near an east, west or south window in bright, indirect sunlight. Outdoors, locate the plant on a shaded porch or other site receiving partial shade or protection from the hot afternoon sun as hybrid fuchsias dislike heat and humidity. In general, fuchsias prefer cool daytime temperatures (60 to 70 ºF) and a nighttime temperature of 10 degrees lower. The cool night temperatures are especially important during early spring growth when new growth is pinched and flower buds are developing. Flowering ceases when the average daily temperature rises above 76 ºF. During the growing season, water when the soil surface feels dry. In the fall, gradually reduce watering and extend the periods between watering to prepare the fuchsia for a winter rest. Fuchsias are heavy-feeders, benefiting from feeding with a soluble, complete fertilizer every two to four weeks during the growing season. Cease fertilizer applications in the fall at least two weeks before you anticipate bringing the plant indoors. Plants grown outside during the summer must be brought inside before the first fall frost. Very large plants may be cut back to the rim of the pot, or you can leave 6-inch stubs. Fuchsias can be successfully overwintered in a cool (45 to 50 ºF) location. During the rest period, water sparingly, just enough to prevent the potting mixture from becoming completely dry. Before bringing the plant indoors, check the remaining scaffold branches for signs of insects. Control any insect pests before bringing your fuchsia indoors. In the spring move the plant to a warmer, well-lit location and resume regular watering. When new growth appears, repot the plant. Shake off the old potting mixture and return the plant to the same pot (or one slightly larger) with fresh potting soil comprised of equal parts of peat moss, vermiculite, potting soil and coarse sand. Pinch each new shoot after it has produced two full sets of leaves. Pinching the growing tips early will promote branching, and the result will be a plant that fills and covers the container. Stop pinching about a month before the first frost date in the fall. Fuchsia may be propagated by seed or stem tip cuttings. The seed germinates in 21 to 28 days at temperatures between 70 and 75 ºF. Firm down the growing media, then sow the seed on top. Cover the seed with a thin layer of media and firm it down again. Take softwood cuttings about 6 inches long with two or three pairs of leaves from young, green shoots in the spring. 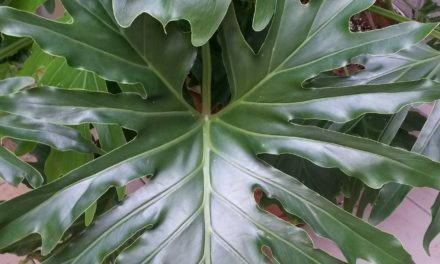 Remove the bottom pair of leaves and insert the cutting into a moist rooting medium as far as the base of the lowest pair of leaves. A well-drained rooting medium comprised of equal parts of peat and perlite is fine. Enclose each potted cutting in a plastic bag and keep it in a warm place that receives bright, indirect sunlight. Rooting occurs in about three or four weeks. Move the rooted cuttings into pots of ordinary potting mix and pinch the tips to begin forming well-balanced plants. Fall-rooted cuttings should be uncovered and overwintered in a cool room (45 to 50 ºF) in bright light without direct sunlight. They should be watered just enough to keep the leaves from drooping. The following spring, such cuttings can be treated as mature plants and will normally flower earlier than spring-rooted plants. When either spring- or fall-rooted cuttings have made 2 or 3 inches of new growth, nip out the growing point. Four to six side branches will develop to form the flowering branches of the new plant. Hot and dry conditions cause flower buds to fail to develop properly; flowers, if any, will quickly fade and drop. Whiteflies are the most common insect pest on fuchsia. Other insect pests include aphids, which cause curling of the leaves. Thrips, mealybugs, spider mites, and scales can also attack fuchsia. For more information on common houseplant insects see HGIC 2252 Common Houseplant Insects and Related Pests. Diseases that affect fuchsia include fuchsia rust; however, some cultivars are resistant to rust. Botrytis blight also affects fuchsia but can be prevented with good air circulation, adequate spacing and good sanitation. Other disease organisms that attack fuchsia include Pythium, Phytophthora and Rhizoctonia. 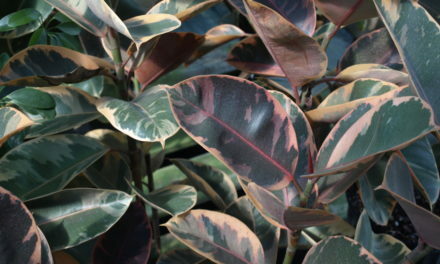 For more information on houseplant diseases see HGIC 2251 Houseplant Diseases and Disorders.